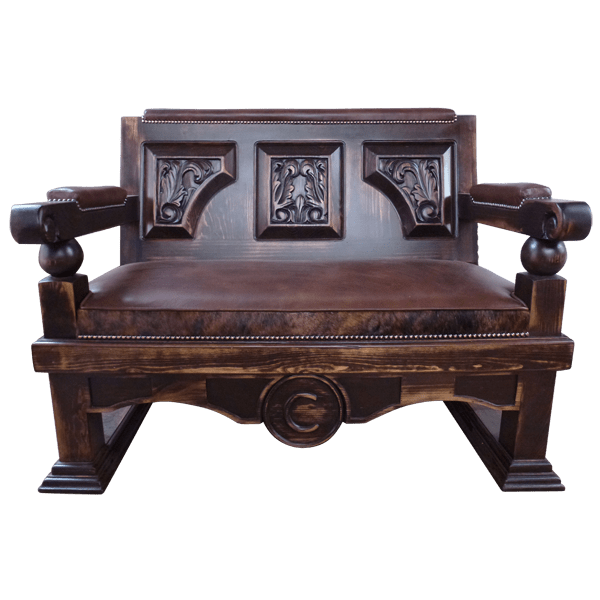 With its marvelous, antique finish and full grain leather details, this handcrafted, Western style bench will be a wonderful addition to your home décor. The wide, rectangular seat and its scrolled armrests are well padded and upholstered with earth colored, full grain leather. The front side of the seat is upholstered with brown, patterned cowhide. 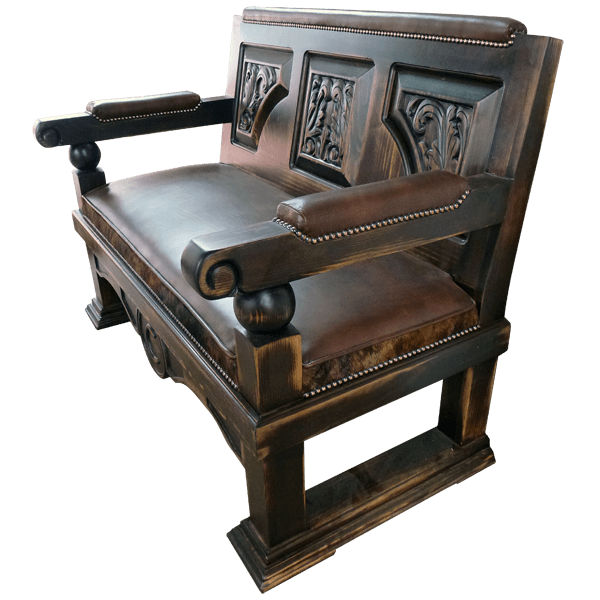 The bench has a solid wood seatback adorned with three, beveled, geometric panels, and each panel has a gorgeous, hand carved, floral and scroll design in its center. 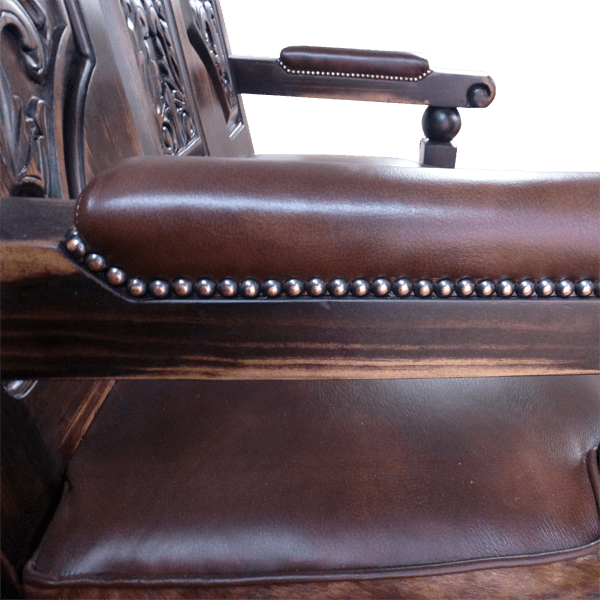 The top of the seatback is padded and it is upholstered with matching earth colored, full grain leather. All of the leather and the cowhide are hand tacked to the solid wood frame with lovely, gilt nails. 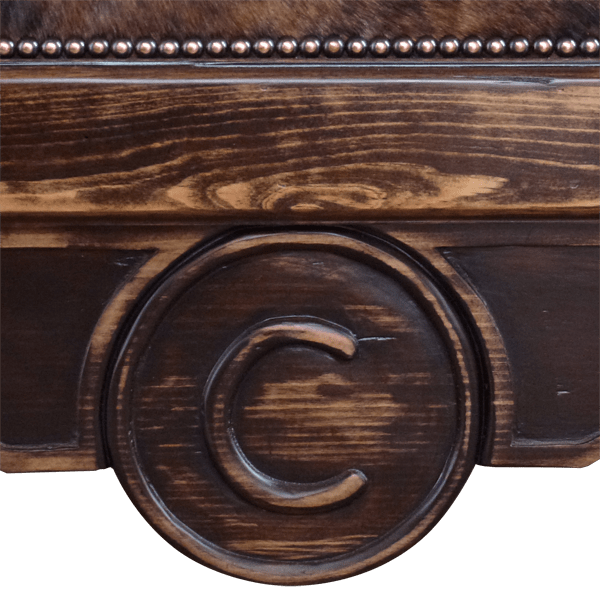 The bench has a front, curved apron, and the center of the apron is embellish with a hand carved, circular design, adorned with the customer´s initial. We can hand carved any design that you would like. It rest on rectangular cut, staggered legs. The bench has an antique finish, and it is made with the best, sustainable, solid wood available. It is 100% customizable.